I bought this a few weeks ago. Ive read a few posts on here as to some differences so have listed them..Theres 5 track rollers, the gearbox is the one you move the stick sideways. The engine has a direct inline pump. Hi Rob and welcome to CMN nice machine you have there. Thanks! It needs some tidying up and a few jobs doing to it however wont take much! That is a nice machine you have there but it isn't realy a TM 55. It is a TM or TM50 with the Perkins L4 (TA) engine which developed 48 bhp. The later TM55 was fitted with the Perkins 4-270 engine which developed 56 bhp. The TM50 was built between 1955 and 1959, and the TM55 from 1960 to 1970. Both the 50 and 55 were offered with four bottom rollers for agriculture or five for industrial applications. 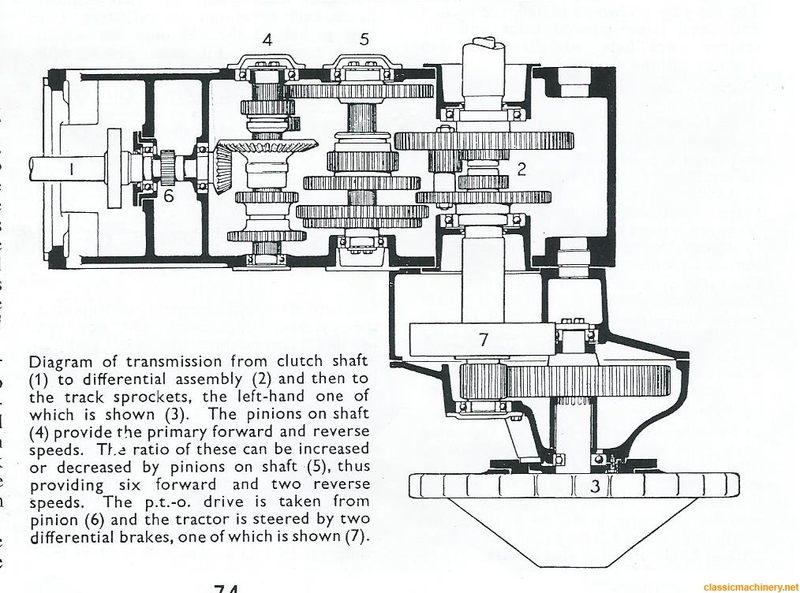 The transmission with the side shift gear engagement was inherited directly from the single cylinder Fowler-Marshall VF range which had no bevel gears, (crownwheel and pinion), as the engine crank shaft like the gearbox shafts lay transversly accross the tractor eliminating the need to turn the drive. When the Perkins powered models were introduced the drive was turned 90 deg. by introducing a pair of bevel gears in the front of the gearbox. I've been round these Marshall-Fowler things for best part of 50 years so if there's anything you need to know just ask. Hi Fred, thanks for the reply! Now i understand why its a bit different a mate has one but his has the other engine and different gearbox which is a later machine. Theres an oil leak underneath the gearbox which I need to track down and it appears theres 2 plates each side under about where you sit however not sure what they cover and if that can be just taken off and resealed? What a tidy looking machine for over 60 years. Lovely piece of marque history Fred.